Last night marked the second installment of our monthly 70s night club “LIFE ON MARS” at Club Fais Do-Do in Los Angeles. 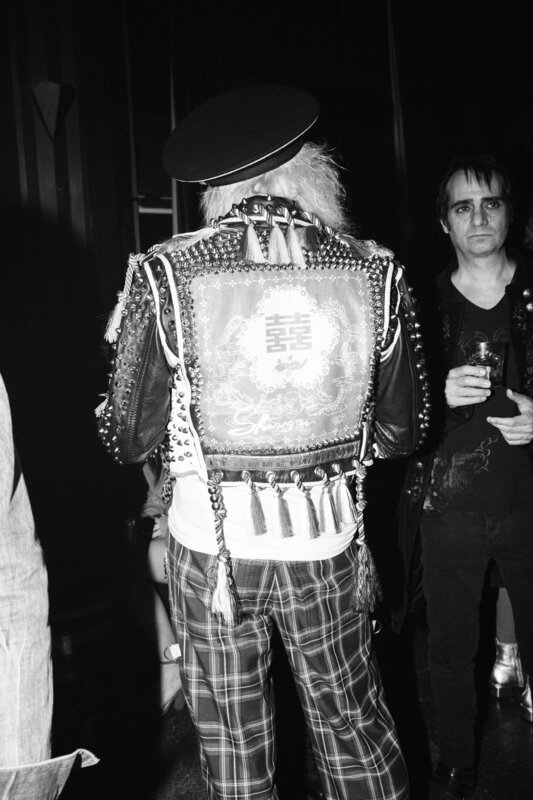 Guests joined us for a night of glam and 70s rock n roll hosted by MZ Neon with performances by Siobhan Fahey (Bananarama), Don Bolles (The Germs), Rita D’Albert (The Pandoras), Kate Clover, Josh Landau (The Shrine), Jeffertitti Moon (Jeffertitti’s Nile), MZ Neon and more. Mark your calendars for the next one on April 18th! Julian de la Celle, Editor-in-Chief of FOXES Magazine. Gregg Foreman, Brandon Welchez (Crocodiles), John Tyree and Zeh Monstro. Kate Clover and Brandon Welchez. Julian de la Celle and Dam Valverde. Zeh Monstro and Julian de la Celle. Tina de la Celle, Creative Director and Founder of FOXES Magazine. Sean Barger, Ann Seletos and Vanessa Matic. Zeh Monstro, John Tyree and Julian de la Celle. Kate Clover and Gregg Foreman.